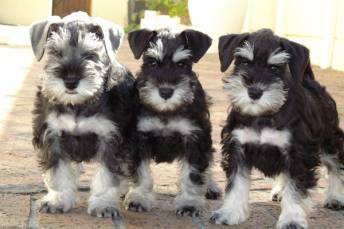 Keystone Schnauzers is a KUSA registered kennel dedicated to the advancement of Miniature Schnauzers in South Africa. In this quest we aim to breed top quality miniature schnauzers from some of the best bloodlines the world has to offer. 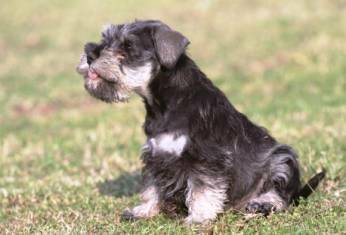 We showcase a wide range of imported, premium quality miniature schnauzers from top kennels world wide. As a show kennel we breed for beautiful conformation and beautiful personalities. Our motto is “Nature and Nurture” when it comes to puppies. We endeavour to breed exceptional quality puppies with a wonderful “Nature” and then to Nurture this “Nature” from the day they are born to bring out the best in them. We truly love our Schnauzers and we are confident that you will too! Please do not hesitate to contact us for further information if you are interested in finding a loving puppy to compliment your home. Puppies are carefully selected and placed with owners who will provide loving and caring homes. All our Miniature Schnauzers are health screened to ensure we keep breeding healthy Miniature Schnauzers with wonderful temperaments. Our puppies are KUSA registered, inoculated twice by 8 weeks of age, de-wormed three times, and are provided with microchips. (To see how we raise our puppies please visit my website). They also go to their new homes with “puppy starter packs” when available. Keystone Schnauzers is situated just outside of Meyerton in the Vaal area - We do transport nationally and internationally. Keystone Schnauzers - home of “Blue Lava,” "2011 KUSA National Miniature Schnauzer", and "2011 Dog of the year" qualifier, and ”2011 Best of the Best” qualifier, and ”2012 KUSA National Miniature Schnauzer" and ”2012 Best of the Best” qualifier. Zeus Ranked 32nd of all Show dogs in 2012 as compiled by "Animaltalk"
Keystone Schnauzers is registered with KUSA . All puppies are sold as per contract “with breeding restrictions” unless otherwise indicated in the contract. Our puppies are sold with a “money back” guarantee.